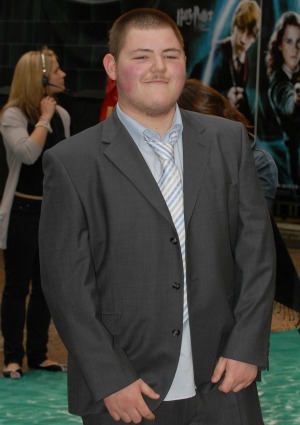 Harry Potter actor Jamie Waylett has been sentenced to three years in prison for his role in last summer’s riots in north London and handling stolen goods. Draco Malfoy’s evil sidekick is heading to the big house. Jamie Waylett, who played Vincent Crabbe in the Harry Potter movie franchise, has been sentenced to three years in prison for his role in the violent riots that rocked England last summer. Waylett was sentenced to two years for violent disorder for being part of a small gang who terrorized north London by looting and rioting last August. He was given an additional year for handling stolen goods after a security camera caught him swigging from a champagne bottle that had just been stolen from a looted shop. This certainly is not 22-year-old Waylett’s first brush with the law. Despite appearing in six Harry Potter films, the actor’s success was not enough to keep him out of trouble and he was arrested in 2009 for growing marijuana in his mother’s home, leading to him losing his role in the final two Potter flicks. Harry Potter’s owl brings Hogwarts invites to the U.S.